It is a pleasure to know Zach Rosenberg, the Southern California dad and co-creator’s of the humor blog 8BitDad. 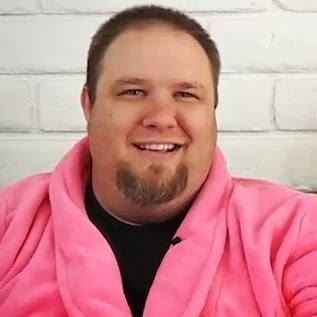 Not only is Zach a terrific father to his son and husband to his wife, he is also a wonderful photographer, insightful writer, and, frankly, no one wears a pink bathrobe better. No one. He also texts me when he is proud of one of my photographs, shares my posts, and I know that I can go to him with any tech related question, even when it doesn’t involve MS Excel, and he’ll be there for me. Rare qualities in any person, let alone one you only see in person once or twice a year. Like me, Zach also sees some of his best work republished on The Good Men Project from time to time, and recently they ran one of the funniest Microsoft Excel-themed open letters to children that I have ever read in my life. Like, my entire life you guys! The hilarious Open Letter post original appeared on 8BitDad in the summer of 2013 and kinda blew up (1.4K LIKEs, over 6K shares! ), but I didn’t see it then, which is all kinds of weird because Zach Rosenberg’s writing on 8BitDad is pretty much like my 153rd favorite blog to check daily, right behind This Week In Basket Weaving and just before All Things Cheese. Their recent analysis of the cave aging process was enthralling! Anyway, I am requiring that you read Zach Rosenberg’s Open Letter To His Song About Microsoft Excel today. Enjoy this marvelous guy’s marvelous writing. Thanks Jeff! I also did an article on “Best Practices for Cave Aging Cheeses With Your Kids”. You’re a good friend – and it’s totally odd that we don’t see each other often. If I ever make it out to one of them new age dad summits, we might double our yearly hugs.